April 17, 2010: Local audioheads rejoice and go indie. In its 25th year, Graywhale knows how to throw a party. At the 1300 East location, Violent Soho, Fictionist and Jamie’s Elsewhere, among others, will play from 10 a.m. to 8 p.m. In Provo, they’ll showcase Utah County’s vibrant music scene. And in Ogden, SLUG Magazine hosts the annual “Black Tie” event, with Gaza and others detonating bombs from the hard-hitting Utah metal scene. Graywhale says Record Store Day is all about the music, and not about saving their (or other local) stores. As such, their proceeds will raise money and awareness for the nonprofit War Child. “Our big thing is [the experience of] buying physical music. ... downloading is selling yourself short,” says Slowtrain co-owner Chris Brozek, who promotes the mantra “Buy Local First.” Slowtrain is keeping it local with an all-star SLC musical lineup. On the main stage outdoors from noon to 7 p.m., The Futurists, The Naked Eyes and The Devil Whale, among others, will play hourlong sets. Acoustic strummers including Andrew Shaw, Glade and David Williams will be downstairs in the Subterranean Lounge from 1 to 8 p.m. Slowtrain will also introduce plans for their new label, Slowtrain Records. Proceeds from a raffle and food sales will raise money for The Junior League of Salt Lake City. 4th Street will have performances by Daniel Day Trio and CWMA winner DJ Chase 1-2, among others. They’ll be releasing their own Record Store Day exclusive: Low Fidelity by Fisch, Finale and Brisk. On 2009’s Record Store Day 2009, the three producers came in the store, sampled records there, and put together an album in four hours, but it hasn’t been released until now. Owner Kevin Kirk is a huge Drive-By Truckers fan, so it’s no surprise he’s only offering the limited edition 7-inch vinyl “Your Woman is a Living Thing”/”Just Maybe.” There’s also a big sale on CDs and discounted Heavy Metal Shop gear. 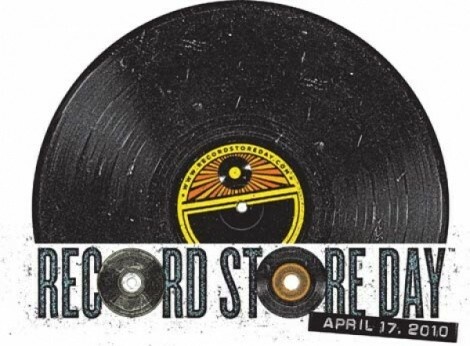 Randy’s huge collection of used records are 10 to 30 percent off for Record Store Day. They’ll also have many of the featured, limited releases. For more info and City Weekly's recommendations, visit City Weekly music blog.